Chocolates are best for gifting on any special occasion as chocolates are loved by almost everyone. Make Valentine’s Day celebration special by gifting this exceptional gift combo to special one. This gift item is a love bucket filled with Imported chocolates Bars. The bucket contains love heart decorative two sticks. This gift combo is bound to big appreciation from the receiver. So, go ahead and place your order now. 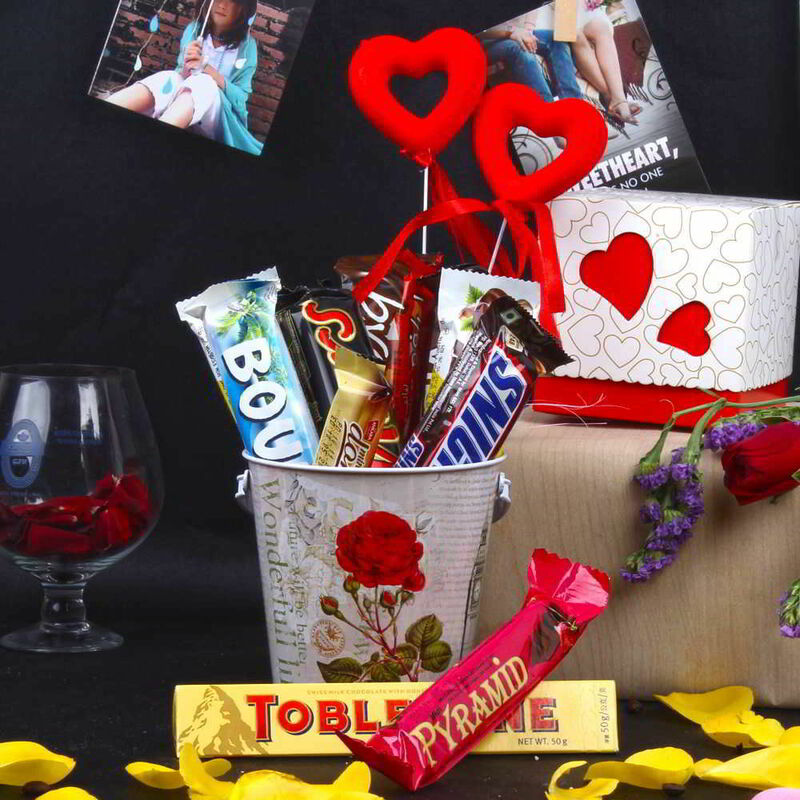 Bucket Filled with Imported Assorted Chocolates Bar (Weight: 300 gm) along with Heart Shape Decorative 2 Sticks. Order received till 10th February 2019. We will attempt delivery of the items once. In case the delivery is not executed during the attempt,due to wrong address/recipient not available/premises. locked, the customer will be charged for the order.